We get it: it’s been a long time since the last installment of A Song of Ice and Fire was released, and since the show’s final season won’t premiere until 2019, there is a void in the epic fantasy section that needs to be filled. To help you get over this lull, we have put together a list of 12 more epic fantasy books like Game of Thrones: full of action, drama, and some pretty fantastic worldbuilding. 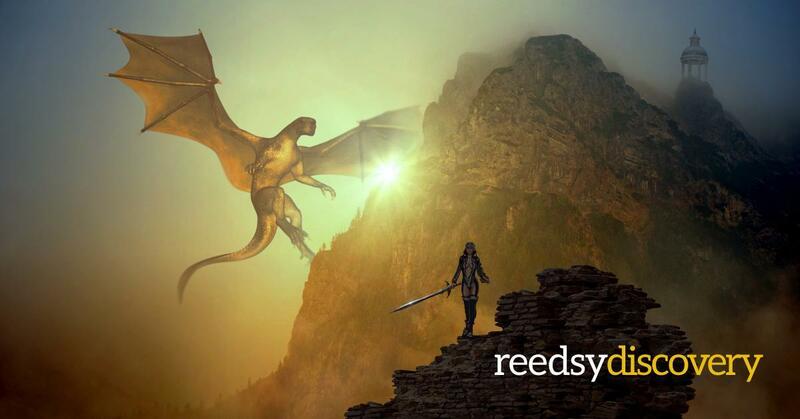 With dynamic characters, complex relationships, beautiful scenery, and action-packed scenes, there’s nothing quite like diving into epic fantasy stories. An epic fantasy list would be nothing without The Lord of the Rings, Tolkien’s magnum opus and an absolutely archetypal work in the genre. Titled after the villain of the series, the trilogy follows the Fellowship of the Ring in their quest to destroy the One Ring — as the future of all Middle-earth rests on their shoulders. No pressure! While some in the group face epic battles, others must wrestle against their personal demons and complete smaller (but still no less important) quests that will determine the fate of their world. If you want length, development, and a maze of story arcs, then Jordan’s fourteen-book epic fantasy series will do the trick. The story takes place in a world where women can use magic, but men can’t — or rather shouldn’t. It follows a group of friends from a small town who are swept up in events that will change the world forever. In a battle of Light versus Dark, the one person that could save them is also the one that can destroy the world. Harry defeated Voldemort. Aragorn ascended to the throne. It’s usually pretty straightforward: the hero fulfils the prophecy. But have you ever wondered what would happen if the hero fails? Sanderson’s Mistborn series is here to answer that question. Set in a world of complex magical systems that create an intricate social and political structure, Mistborn begins with the story of an enslaved, half-Skaa (lower-class) thief named Kelsier. After suffering for years in a prison camp, he discovers he is a Mistborn — someone who possesses great magical powers that give him the chance to overturn the tyrannical reign of the Lord Ruler. Kelsier manages to escape and get his old thieving crew back together, along with another Mistborn named Vin, to set his plan in motion. But overthrowing a thousand-year-old empire is no easy feat, and they must risk their lives in order to change the world. Set in a world reminiscent of medieval Europe, The First Law series follows a handful of characters in the midst of war. This series is packed full of great action scenes three-dimensional characters, blood, blood, and more blood. Did we mention that it has blood? The cast of characters may lack typical “heroic” qualities. But Abercrombie takes their disturbing and antagonistic traits and turns his characters into true anti-heroes, compelling readers to care about them and about their fates. Fun fact: the titles for all three of the books in this series have literary origins. The Blade Itself comes from the quote, “The blade itself incites to deeds of violence,” by Homer. Before They Are Hanged hails from the quote, “We should forgive our enemies, but not before they are hanged,” by Heinrich Heine. Last but not least, Last Argument of Kings is from a quote inscribed on Louis XIV’s cannons. This monumental series is the product of two authors: Steven Erikson and Ian Cameron Esslemont. They co-created the world, but each wrote different stories that takes place within it. While Esslemont’s series is as canonical as Erikson, it’s known under the separate name of Novels of the Malazan Empire. In case you’re wondering, those plus Erikson’s books bring the series total to a whooping twenty-two books! You definitely won’t run out of reading material any time soon. Malazan Book of the Fallen has a vast history, complex world-building, a powerful magical system, and a story that encompasses multiple continents and plots. In other words, it’s a dream for any epic fantasy lover. But be warned, the series doesn’t follow a linear storyline and can be very confusing at first. Add to it the fact that the characters themselves don’t know much of what’s going on and they are the narrators… it’s up to you to decide if they are reliable or not. If you decide to give this series a try, the authors themselves suggest reading it in publication order over chronological order, especially if it’s your first read-through. Osten Ard is a peaceful continent where a variety of human and non-human races reside in relative harmony under the rule of King John the Presbyter. When the king’s health begins to falter, sibling rivalry and long-kept secrets threaten the stability of the kingdom. The series follows the story of Simon, a young kitchen worker from the castle, who, as an apprentice to the League of the Scroll, becomes involved in the events that seek to confront the enemy that threatens his land. Throughout the trilogy, a myriad of characters — both good and bad — are introduced, who grow, change, and question their way of life through the conflict that surrounds them. The story is told through the point of view of several characters, including both protagonists and antagonists, giving readers a well-rounded view of the events taking place. George R.R. Martin himself has cited Williams as an influence over his own epic fantasy series. So why not explore the series that may have helped shaped A Song of Ice and Fire? This co-authored trilogy follows the story of Mara of the Acoma, a young nun-in-training, who rises to Ruling Lady of the Acoma after the death of her father and brother. From there comes plenty of scheming, plotting, assassination attempts, and bending of tradition on her path to becoming the most powerful ruler. While a lot of epic fantasies take place in a world inspired by medieval Europe, this one has Asian-inspired elements that set it apart. If you enjoy this book, there is much more where it came from. This trilogy is part of The Riftwar Universe, which is comprised of an additional twenty-seven books! Beginning with Acacia: The War with the Mein, this trilogy starts off with Leodan Akara, ruler of the Known World. He leads a peaceful and prosperous kingdom, but his world is full of much more darkness than he realizes. After his death, his four children are forced to face the reality of their kingdom and attempt to radically change their world. Unlike many other fantasy novels, where the end goal is to defeat the opposing forces and sustain the statu-quo, in Acacia the characters’ goal is to change the world for the better for everybody. If you’re a fan of complex worldbuilding, ancient magic, political and moral dilemmas, and morally ambiguous characters, this is a series that will keep you turning pages until the very end. In a way, this is Batman gone wrong: instead of a child’s tragic life taking them on the path of righteousness, it drags them on the path of pure and unadulterated evil. Narrated from the point of view of Jorg Ancrath, this trilogy tells the story of how he went from being a privileged prince to a leader of a gang of outlaws. If that’s not intriguing enough for you, it’s followed by his attempts to rebuild the life he left behind and ascend to the throne of the Broken Empire. He is the antihero to end all antiheroes, and you will probably hate him, but will still — surprisingly — root for him. Be warned that this series is not really for the faint of heart, and contains a great deal of violence and abuse that some may not enjoy. While this series does not have the detailed worldbuilding that other epic fantasy stories have, it is nevertheless intricate and real, which makes it one of the classical examples of the genre. It follows the coming-of-age tale of Ged, a young dragonlord with great powers who is sent away to study magic. Unlike other fantasy series, where magic is practiced carelessly, Earthsea is all about careful balance. There are dragons, labyrinths, and evil forces that need to be vanquished, after all. Throughout the series, the characters must grow and face the darkness that threatens to engulf their world. Where J.R.R. Tolkien built Middle-earth with detailed prose and descriptions, Le Guin builds Earthsea with a light prose and digestible narrative that can be very refreshing. There are five total books and each novel in the series has received an award. What happens when one single person holds all the power? In a world that was once ruled by dragons, thirteen races now exist together. But when a great nation threatens to expand its influence into the Free Cities, citizens from both sides must do their best in order to survive. Fans of A Song of Ice and Fire will enjoy the political and military struggles that are developed throughout the quintet. While this isn’t fantasy — it’s historical fiction — The Accursed Kings is one of the main inspirations behind A Song of Ice and Fire. The story begins with the French King Philip the Fair, who brings a curse upon his family. The series follows the succession of European monarchs that lead into the Hundred Years’ War, a series of conflicts between the House of Plantagenet in England, and the House of Valois in France between 1337 and 1453. Translated from French, there are seven books to this series and over sixty characters to follow with plenty of intrigue, drama, battles, deception, rivalry, lies, and lust. If you desperately need more book like Game of Thrones, then this is right up your alley — even if it’s not an epic fantasy.